Today the me and the little guy met up with some other parents with children of the same age and went for a walk thru the aviary in Hong Kong Park. It was great! 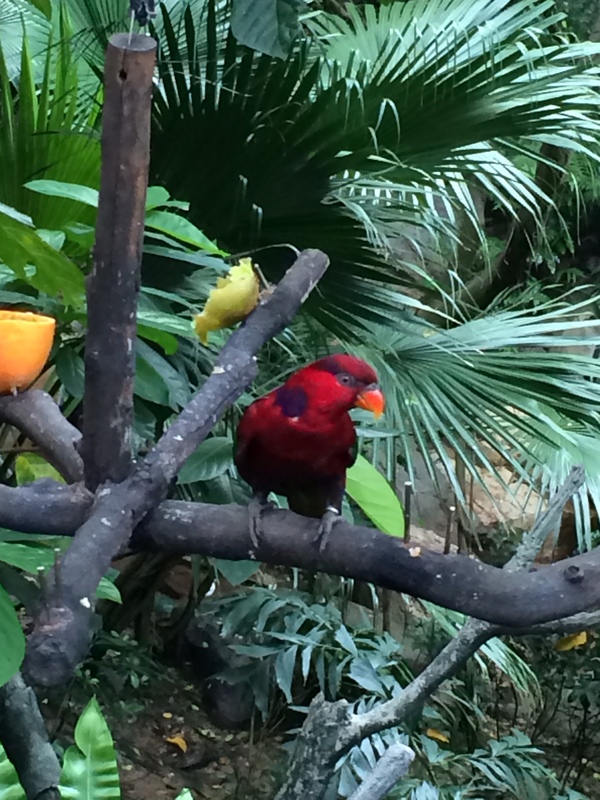 I was surprised at how fresh the air was (the aviary is connected to the park, which is in the middle of the city), and how you can be taken away from it all into a magical world of birds. To get there, you simply go to Admiralty metro stop, then go to Pacific Place and take the escalators up, up, up to Hong Kong Park. 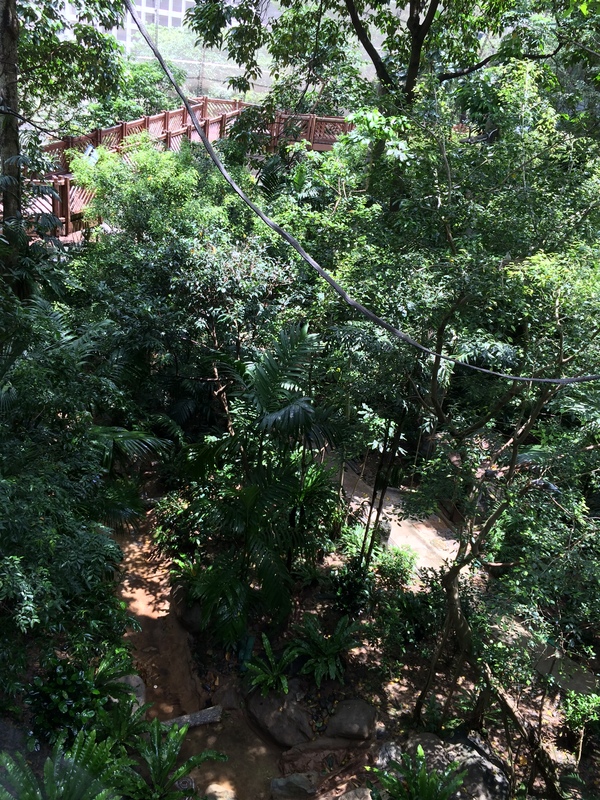 Then, once you are there, enjoy the park for a bit (it is seriously awesome), and then find the path towards the aviary. Then, enjoy! There are over 600 birds in this enclosure, and they are allowed to fly freely around while you walk thru the enclosure on platforms. You can see a lot of different tropical birds flying around, and if you have children with you (of almost any age) they will likely be fascinated by it all. The enclosure is basically a big netted-in-globe, with huge trees and a lot of natural habitat, so it does not feel like you are enclosed at all. Definitely worth the trip if you are in Hong Kong.